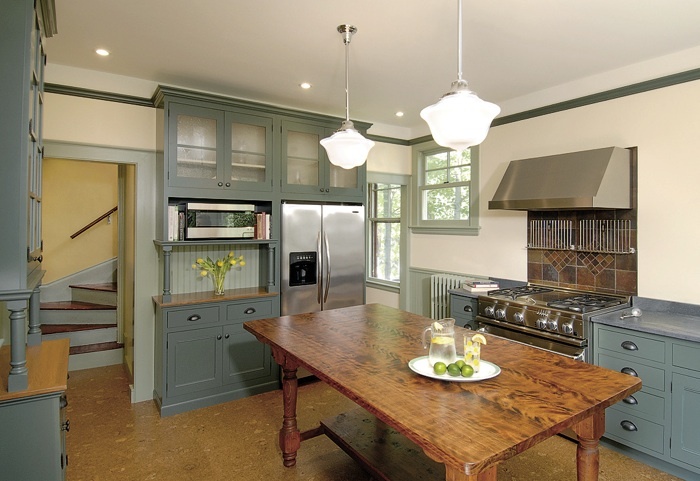 Kitchens in older homes—unlit, utilitarian, and at the rear of the house—reflect a role for women that we no longer tolerate, says remodeler Charlie Allen. 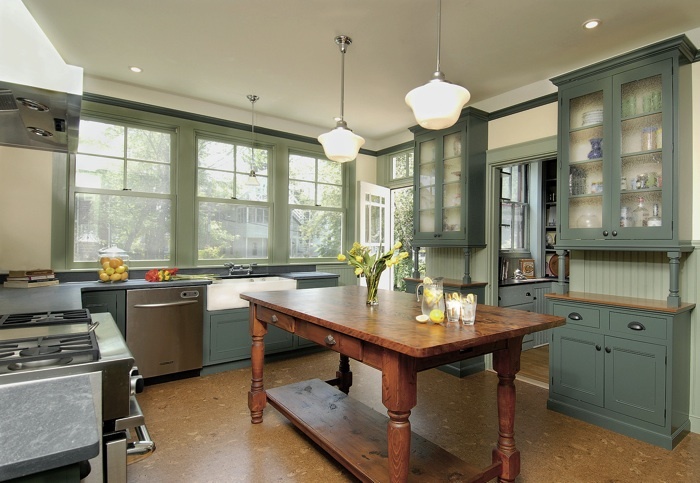 This restoration aimed to connect the kitchen to the outdoors and the rest of the house. In an interior bathroom, transom windows and frosted glass allow natural light from an exterior window in the next room to reach the space. 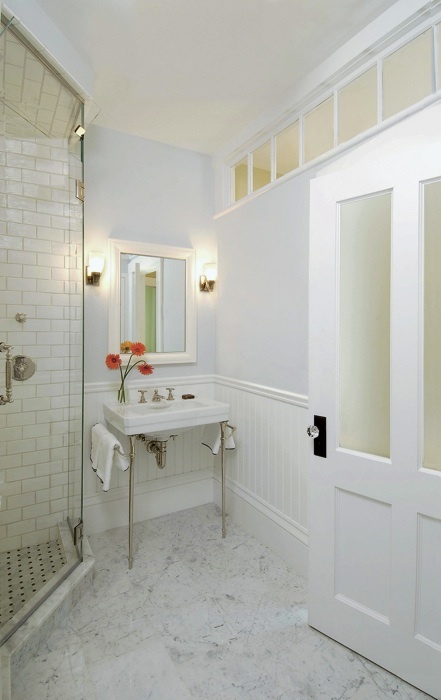 Allen chose to use period details such as wainscoting and molding to draw attention away from modern anachronisms like the frameless glass shower door. 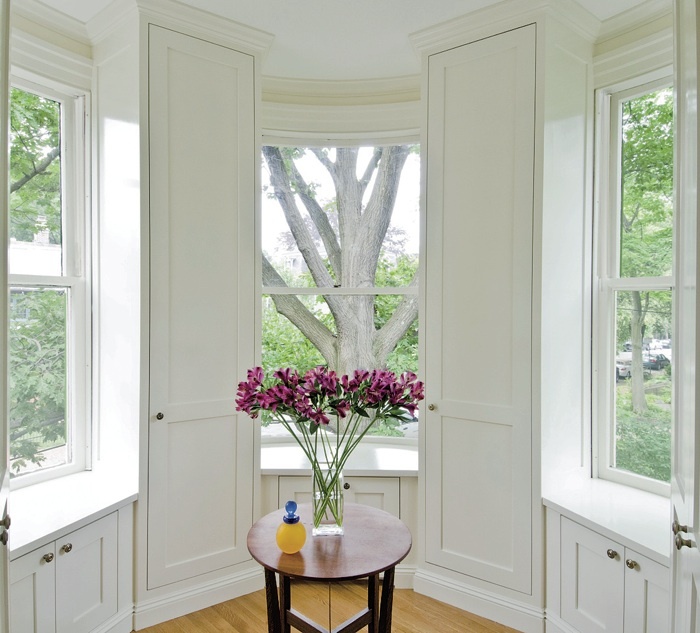 In this upper-story turret, unused space has been captured for storage with cabinetry that blends seamlessly with the existing woodwork. 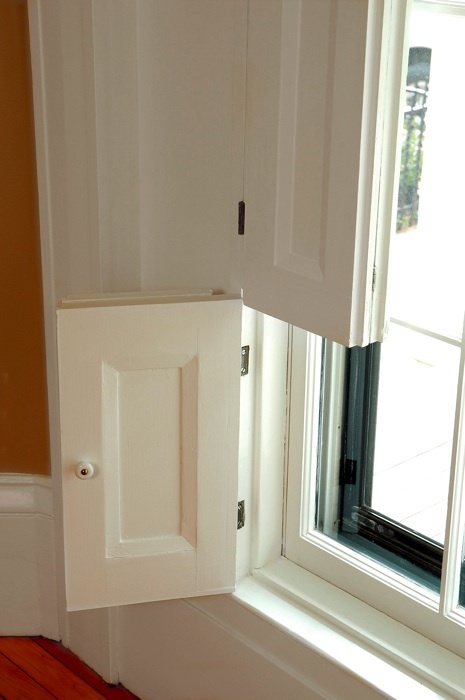 Indoor shutters lend period character to a home. 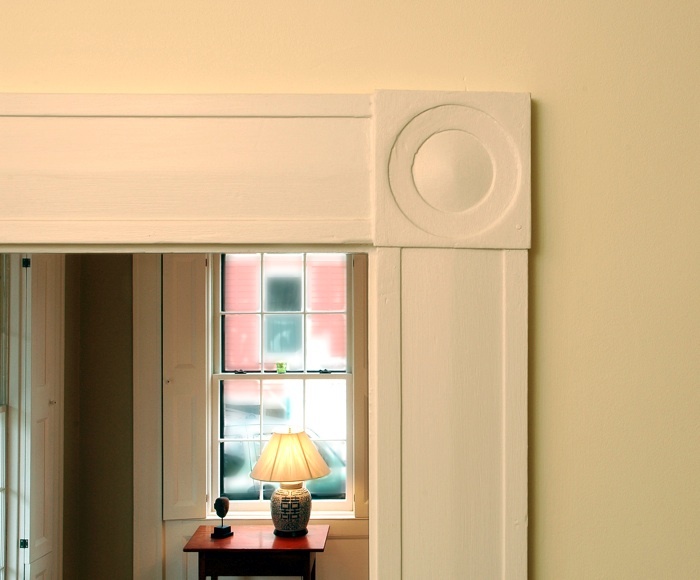 Details such as this molding tie the rooms of a house to one another. 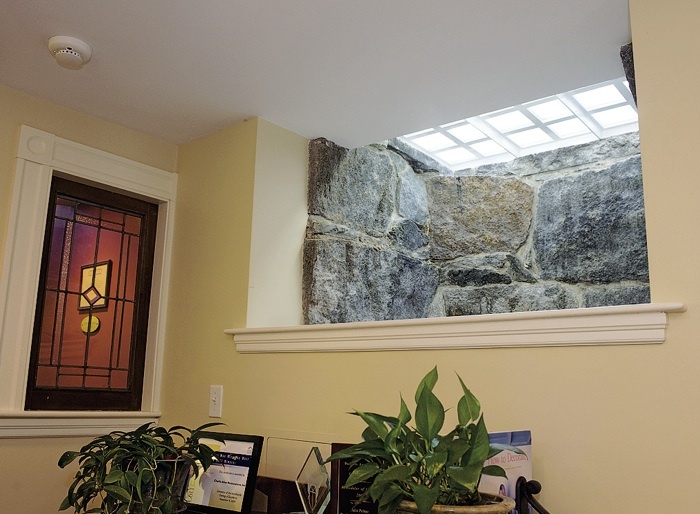 A granite-lined window well at the headquarters of Charlie Allen Restorations Inc. uses frosted glass pavers in the sidewalk to brighten a basement hallway. 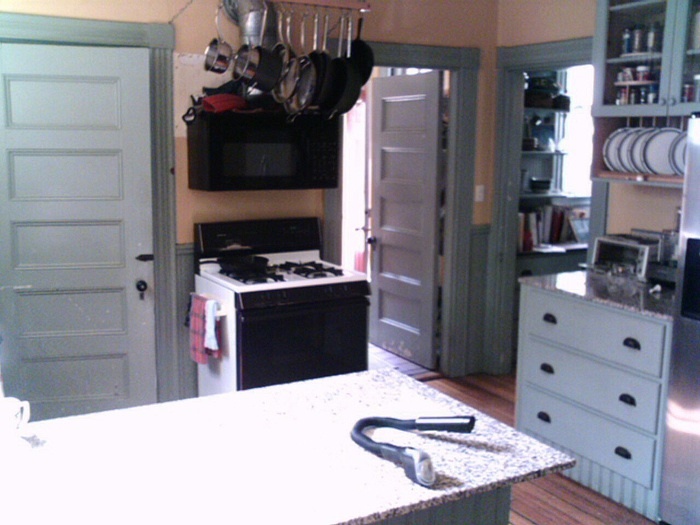 [extra:Extra] Above: View more photos of work by preservationist Charlie Allen, including several online only images. Restoring a Greek Revival or a Victorian home to its period means balancing the preservation of the building’s historic fabric against the needs of modern daily living. Doing that well is an art that Charlie Allen ’70 has been practicing for nearly 40 years in the Boston area. 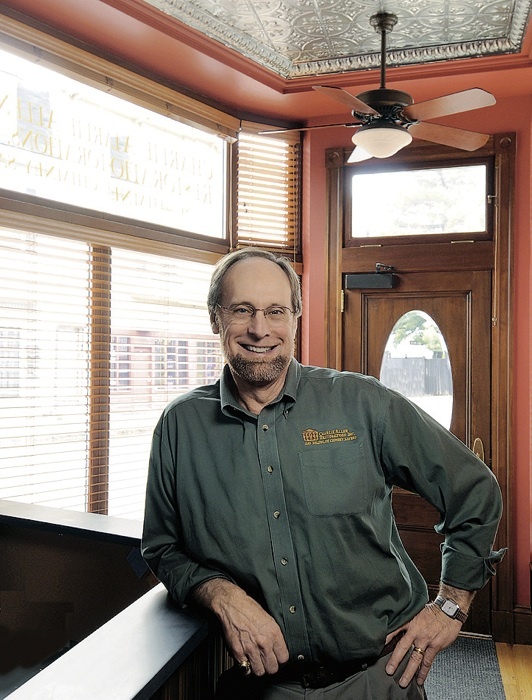 Allen has won numerous preservation awards from historical commissions on the one hand, and awards for his remodeling prowess from shelter magazines and the construction industry on the other. Among the many challenges is dealing with anachronisms like flush toilets, refrigerators, and stainless-steel stoves. Allen chooses to emphasize the container--the rooms that hold these objects--as the proper focus for integrating them into the rest of the house. 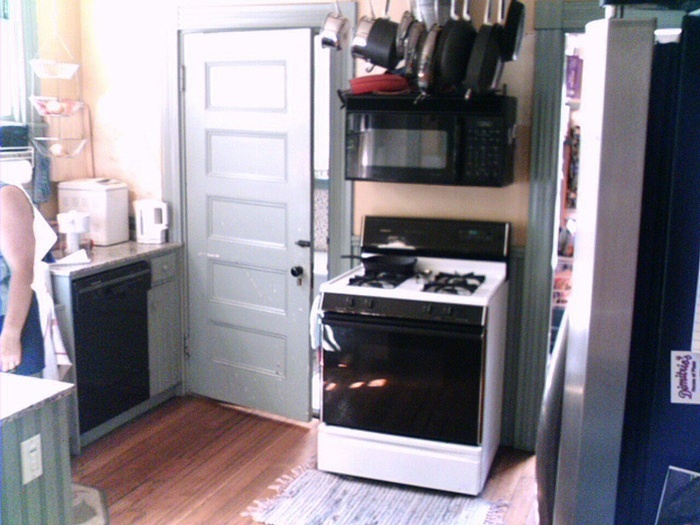 “If allowed, I like to bring the flooring from the rest of the house back into the kitchen. I like to bring the moldings from the rest of the house--the high baseboards, the base mold, the wainscoting, the chair rail--into these rooms. Bathrooms, too.” He’ll change the windows, which in kitchens are often shorter or modern, to match the rest of the house because “if you ‘hold’ these spaces, it helps soften the six-burner Wolf stove or the frameless-glass shower door. He makes no claims for out-of-the-box creativity, but “I’m good at copying,” he says with a laugh. But Allen’s creativity shows in his clever solutions for specific problems that plague many historic buildings, such as lack of storage space or inadequate natural light. In the basement of his office headquarters on River Street in Cambridge, for example, he has funneled in light by installing glass pavers in the public sidewalk above a granite-lined window well where previously there would have been a steel grate. The hand-hewn rock lining the well, which nobody would have noticed under normal circumstances, is beautiful when seen from inside and draws attention to the craftmanship of its construction. 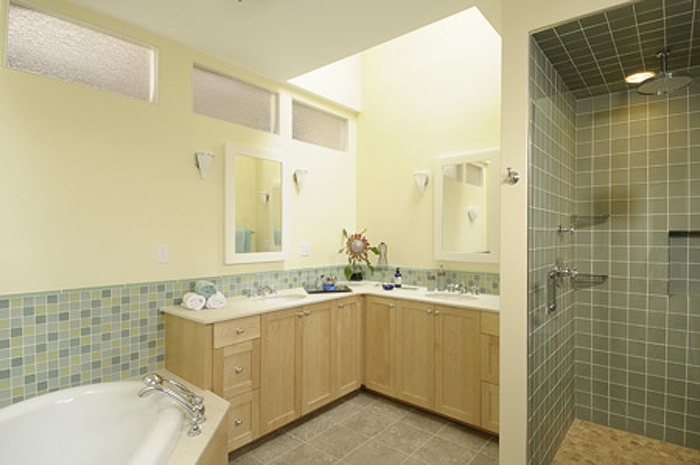 To deal with an inadequately lit interior bathroom in one project, Allen combined a frosted glass door (to ensure privacy) with clear transom windows above in order to import light from an inline exterior window. In another home, where one exterior kitchen wall faced the sheer brick façade of an adjacent building just three feet away, he again used windows with frosted glass to block the view while admitting light. Allen grew up on a former chicken farm in Washington state; he learned his craft by constructing additional bedrooms in the basement of his family’s home, using materials scavenged from the main chicken-coop building. His trip to Cambridge as a Harvard freshman marked his first time east of the Mississippi. He took up social work after college, while supporting himself with his carpentry skills, and eventually fell in love with his second job. In 1978, he founded Charlie Allen Restorations (www.charlie-allen.com); it now employs three full-time project managers. Although he rarely wields a hammer himself these days, Allen pays attention to the details--restoring the sill horns (the extreme ends that extend beyond the opening) or long-lost backband molding to a window, or simply applying the right combinations of paint colors to emphasize a building’s “artful geometries”--that let buildings recapture their original character. At the Cambridge Historical Society’s Hooper-Lee-Nichols House, where Allen has supervised preservation work pro bono, the goal is to preserve the house exactly as it is. But for his customers, the goal is to make their homes function well and look the period. The result is a testament to the link between utility and beauty.